Instead of beginning a second block, I decided to add to the existing first block. I made 6 more 6-pointed stars, 24 pairs of white diamonds and then began stitching them around the perimeter of the first block. There are loads of opportunities for continuous stitching, which makes this fairly quick to stitch. Still to be made for this round are the tumbling blocks. That won’t take long as I have the diamonds for them already picked out and ready to stitch. Another block will be started and I’ll do a tutorial on it within the next little while. 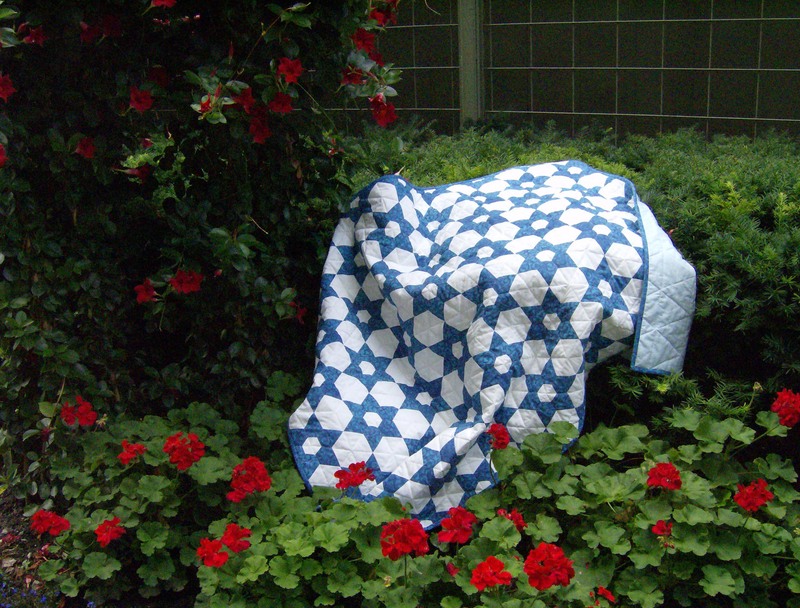 I have a plan for this first Tumbling Stars quilt and am determined to get it finished sooner rather than later. As there are a lot of little seams to grade the more this grows, I’m now grading the seams and pressing after each star and its corresponding pairs of white diamonds are added. Much easier and faster to do it like that than to leave it to the end, I think. It was snowing big fluffy snowflakes yesterday. Thankfully they didn’t seem to accumulate. Oh, how I hope that groundhog was right and early spring is on its way. Baxter and the Katz were having a meeting in their clubhouse. This is my latest favourite photo of him. You can see just how long his whiskers are! Oh man, this is one of my favorites. Totally love it!!!!!!! I’ve been staring at the tumbling star quilt for awhile (love it!!) and I’m starting to see slanted nine-patches! 5 colored diamonds with 4 white diamonds together make one larger diamond shaped nine patch. The pointed ends of the nine patches form the stars and the other corners form the tumbling blocks. The center diamond of the nine patch is the single diamond that sits between the tumbling blocks to form a ring around the stars. Would it be easier to construct this as nine patches first, then set them together to form the stars? Maybe not if you wanted the stars to be made from matches sets of fabrics. But it would make it easier if you wanted to machine piece this pattern from scrappy strips. Looking really good Cathi!!! I have made a couple of stars and am still cutting diamonds for the tumbling blocks but hope to get started sewing on mine in the next day or two (got side tracked with the NYWheel). Hello again Cathi, the Tumbling Stars are very pretty, and I love looking at the backs and your tidy seams, I’ve always enjoyed looking at the backs of tops more! I hope it’s ok to ask more questions. 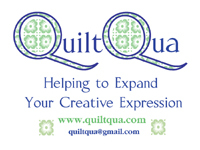 Could you tell me, as you are a hand quilter, which is the easiest wadding or batting to use? 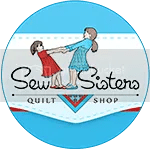 I’ve got on-going problems with my joints and it makes it very difficult for me to quilt at times. I really need to make some permanent changes to the way I work and one thing I want to try is to reduce the thickness of the top, wadding and back. I have been making tops with thicker fabric, and making my own backings up similarly out of any scraps left over. So, I know I can change this by sticking to light-weight cotton fabrics for top and bottom. Can you help at all with ideas about what wadding would be easiest to stitch through? OH my, Baxter……you are growing more handsome every day! Just watch those whiskers don’t tangle in the wind when you are riding your motorcycle…..Your block is looking like a very lovely snowflake now. Love the photo of Baxter; he looks so debonair with his long whiskers. I just wanted to thank you for your advive about wadding, I really appreciate it. Beautiful! What fun to watch this one grow.